Discussion in 'Fiddleback Forge Knives' started by Odaon, Feb 5, 2017. @VANCE Can this be a "Karda" thread or would OSK-only pics be crashing the party? Lady1911 and Warrior108 like this. Thanks Sir! Although secretly I kinda like messing with Phillip. Boxer .45, hasco, pertinux and 3 others like this. Boxer .45, hasco, TrainedBullets and 4 others like this. That's the nicest OS Karda I've seen! Let's trade! 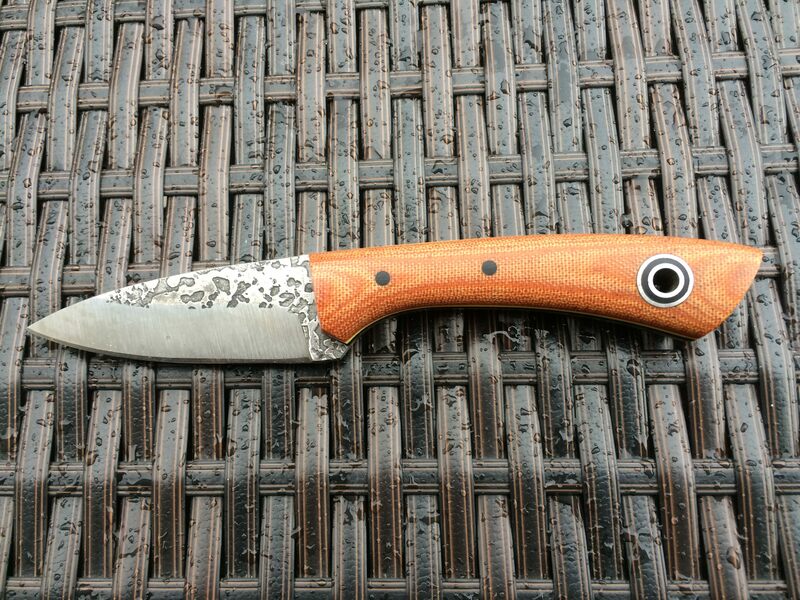 What is the blade length and overall specs for this one? An OS Karda stands for old school Karda? Blade length? OAL is 6 1/2" Blade Len is 2 3/4"
TrainedBullets and Wurrwulf like this. Boxer .45, hasco, TrainedBullets and 7 others like this. Love the look of your OS Kardas Lady1911! Thanks! Lots of nice ones out there. It’s such a useful blade, and it fits my hand like a dream. Hoping to see more 2 and 3 finger Kardas in the future, also. Thanks, like the OSK with the 2 3/4 blade. A little bit bigger than the EDKarda. Choppaman, Tekton, Boxer .45 and 7 others like this. Lady1911, jthrift21, CAD and 1 other person like this. 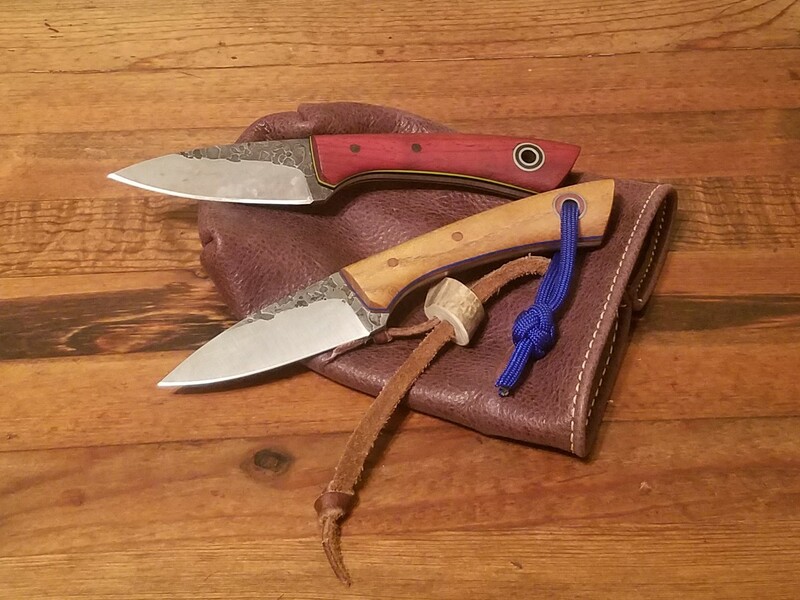 I see an OSK and a Bushcraft Karda in my future. Lady1911, varga49, Choppaman and 1 other person like this. 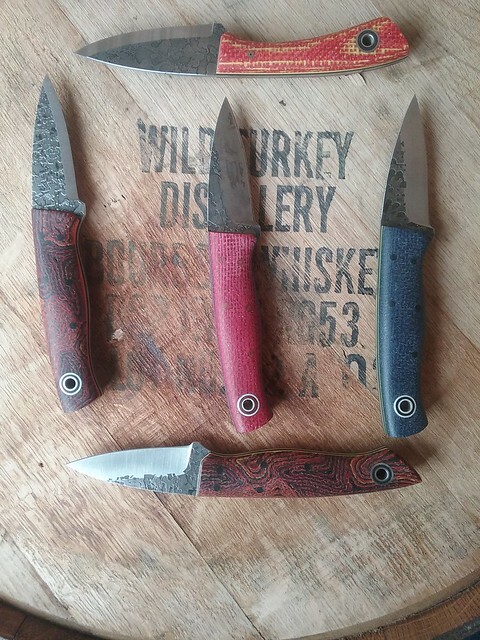 burnside, Lady1911, jthrift21 and 3 others like this. Boxer .45, Wurrwulf, burnside and 6 others like this. Dibs on that blue OSK if you ever decide to part with it. What thickness and tang does it have? Choppaman and varga49 like this. Warrior108, burnside, varga49 and 1 other person like this.